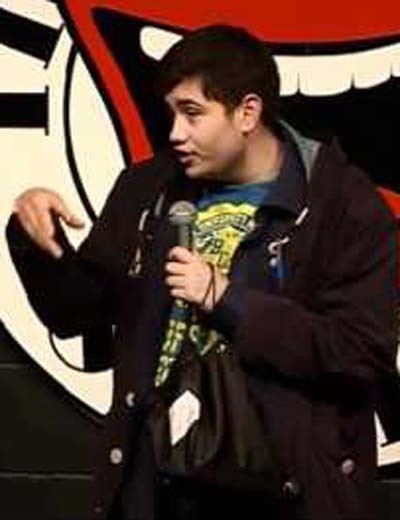 HARRY BOORMAN.... half-Colombian Harry Boorman’s stand up interest began in November 2011 after the Manchester Comedy Store Gong Show performance which made over 2000 views on youtube in 3 weeks. He has wowed crowds at Comedy Slappers and delivers observational comedy, combining one liners, storytelling and Improv. Dark, loveable at times and a genuinely nice guy, Harry also knows how to deal with hecklers at gigs; his calling one in Preston “a slag” made 300 views within 2 hours of it being uploaded on youtube.